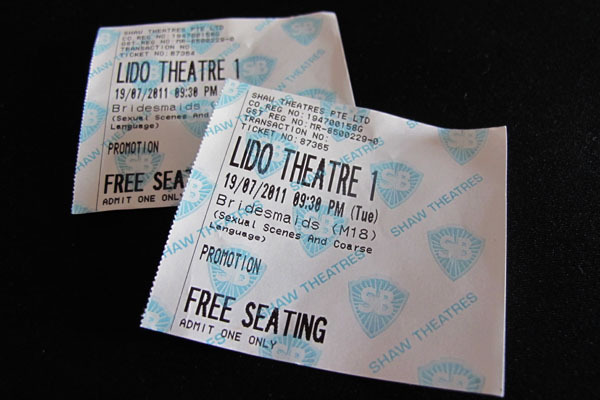 So, after sending JH's mum and brother back, we whisked our way down to Shaw (Lido) and get ready for our movie! Single, in her mid-thirties and a jewellery assistant (who had a bakery store once but was folded) Annie (Kristen Wiig) was asked to be the Maid of Honour by her best friend Lilian (Maya Rudolph). At the engagement party, Annie met the rest of the bridesmaids Rita, Helen and Megan and felt threaten as she sensed Helen is trying to outshine her in all ways, as well as to 'rob' the best friend status from her. Reasons: To me, this is like, a girly version of The Hangover 2 - except that this plot is less oh-so dramatic and more sexual scenes compared to the latter. BUT, I do like the heartwarming towards the end of the movie (yah, its a girly show afterall) and I'm pretty sure majority of the girly females will enjoy this movie though! It's a 2-hr movie and despite that, I still think it will be worthy for weekDAY movie. Not a die-die must watch movie but it can be a consideration if you have the extra time/money to spare during the weekday. Seats: The seats and spacing are adequate and it is a GOOD NEWS for long-legged folks out there! No more stretching and accidental kicks onto the chair seated in front of you. Trust me, I thought I was on some vibrating '3D' seat when I was watching Harry Potter movie last weekend! I nearly swore to the person who had been kicking my chair throughout the movie!!! ARGH! 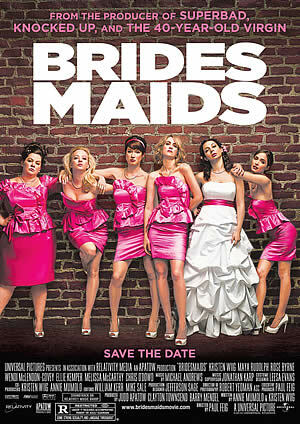 Wanna know what EXACTLY HAPPEN TO THE BRIDESMAID? Do head down to the nearest movie theaters this weekend! Cheers! [Mobile Upload] My FOTD at SG Blogs Award 2011! [Mobile Upload] My lil BB niece in her Hanbok!